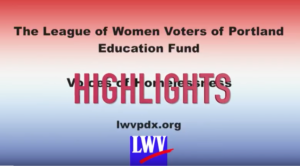 The LWV of Portland presents free civic education programs (often panel discussions) for members and the public, on the second Tuesday evenings of September, October, November, February, March and April. 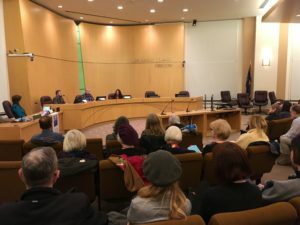 These programs cover current public policy issues and are usually held from 7 to 9 pm in the Multnomah County Board Room at 501 SE Hawthorne Boulevard in Portland. For important elections, the second Tuesday program may be a candidate or ballot measure forum. Recordings of election forums are posted under the Vote menu for this website. The theme for 2018-19 is Justice. View the videos after a program has occurred; see what’s planned in the months ahead. September 11, 2018 – View the recording of Juvenile Justice: Are we improving outcomes for youth? March 12, 2019 – NOTE: The Climate Justice event planned for this date has been cancelled. An April event has been added. 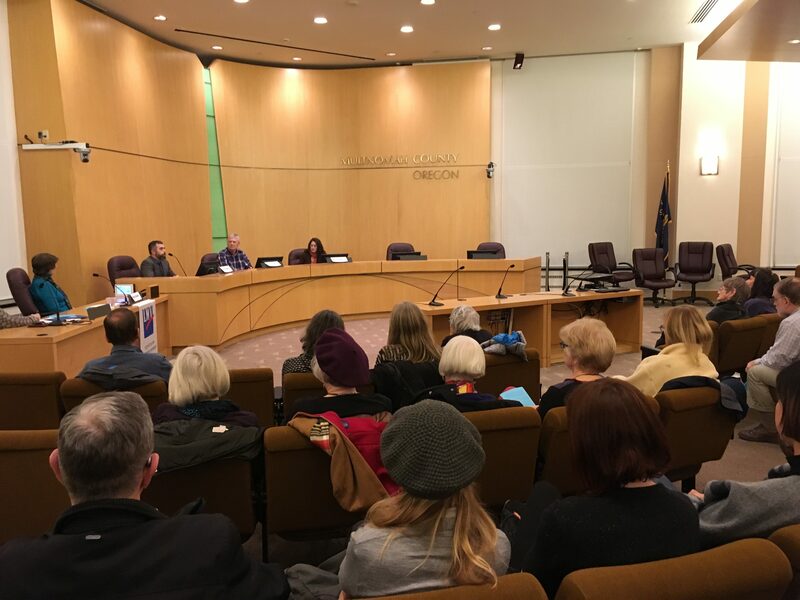 April 9, 2019 – Portland’s City Government – Results of the study by the League of Women Voters of Portland on criteria for effective governments and whether the structure of our current city government is serving us effectively. The theme for Civic Education in 2016-17 and in 2017-18 was Resources for Making Democracy Work. 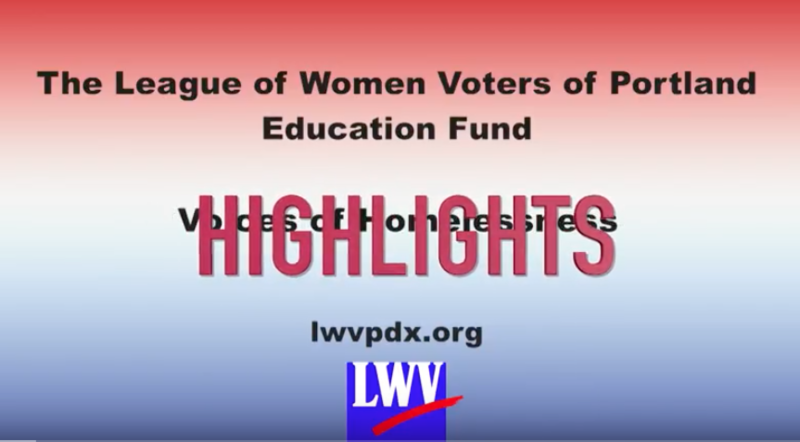 The free programs were recorded by MetroEast Community Media and are available for online viewing on the LWV of Portland YouTube channel. We took excerpts from the full-length videos to produce shorter “Highlights” videos. To watch these Highlights videos, click on any of the titles below. October 10, 2017, Make your Voice Heard in the Legislature; How to effectively communicate with legislators.